If you perform a quick online search for Massachusetts aquarium maintenance or fish tank cleaning, you will see a large list of results for local aquarium service companies offering their services. It may seem a daunting task selecting the most affordable aquarium service company that can provide the best maintenance services for your tank. In this month’s article, the Massachusetts custom aquarium design, build, and maintenance professionals at Normal Aquatics have compiled a list of tips to assist you in selecting the best company to fulfill your requirements. Shop around and compare pricing. The majority of Massachusetts aquarium service companies will not display pricing on their website. You will have to contact the establishment to get a full understanding of their pricing. You may be tempted to go with the company offering the lowest rates, but in many cases these companies do not possess the proper skill-set or insurance to get the job completed in a safe and efficient manner. If you are on a budget, your best bet is to contact a few different companies and go with the aquarium service that offers pricing in the middle. Request references and locate online reviews. An established aquarium maintenance company will have online reviews that you can read to gain an understanding of the quality of services they have to offer. They should also be willing to give you a list of references upon request. Normal Aquatics has been servicing residential and property owners throughout the state of Massachusetts and beyond for almost 20 years. We have gained a reputation for being the premier aquarium service company in the state. Please take the time to click here to view reviews from so of our satisfied customers. Do they offer emergency aquarium services? It is important to select an aquarium service company that offers emergency services in case something goes wrong with your tank. There are many aquarium maintenance professionals throughout Massachusetts that offer emergency services, but it is important to make sure that they are available on a 24 hour and 7 day a week basis. This way you can rest assured that you will be in good hands at all times in the event of an aquarium crisis. Selecting the greatest Massachusetts aquarium installation and maintenance service can be a difficult endevour, but if you take the time to apply the tips we provided above, you should be able to find the company that is best suited for you. 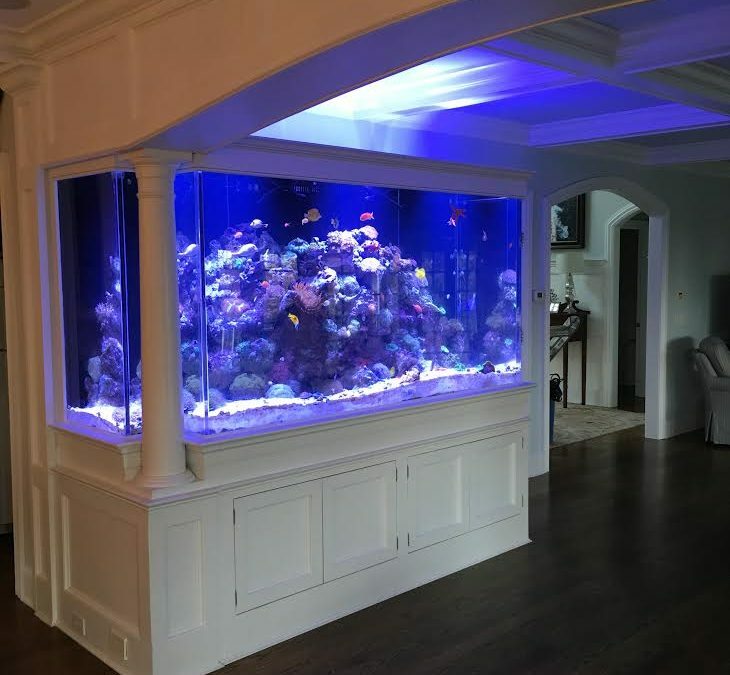 Based in Connecticut, Normal Aquatics gives custom aquarium establishments, aquarium support and repair, and custom pond establishments. Our aquarium maintenance services incorporates the accompanying towns and encompassing regions Springfield, Holyoke, East Longmeadow, Worcester, Foxboro, Franklin, Brookline, Boston, and all of New England. Get in touch with us today for a FREE Consultation!